MANILA–Catanduanes may not cross your mind when planning a holiday trip. After all, it’s far located east of Bicol region, facing the seasonal rage of the pacific. But the island has much more to offer than its surfing sites which it’s famed of—and I guess you may not also aware of that. 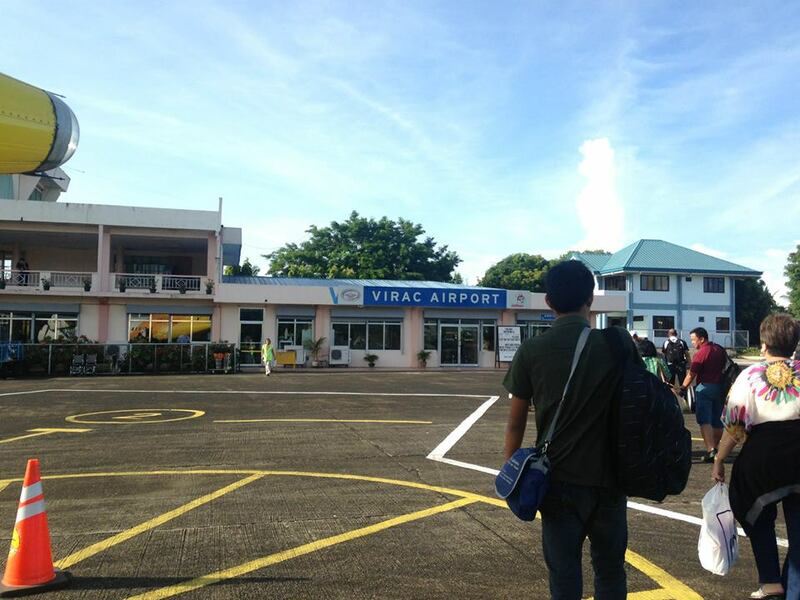 At the tarmac of Ninoy Aquino International Airport, bound for Virac, Catanduanes. Accessible by land-sea and air travel, Cebu Pacific has four times a week flights while bus lines based in Cubao, Quezon City has daily trips to the island. 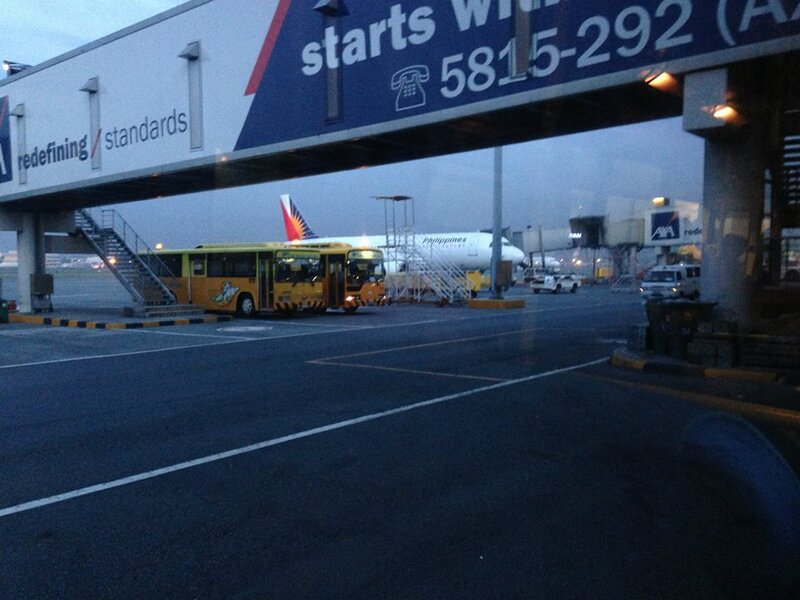 Keep in mind that air travel time is approximately an hour from Manila while by land-sea takes 16 grooling hours. 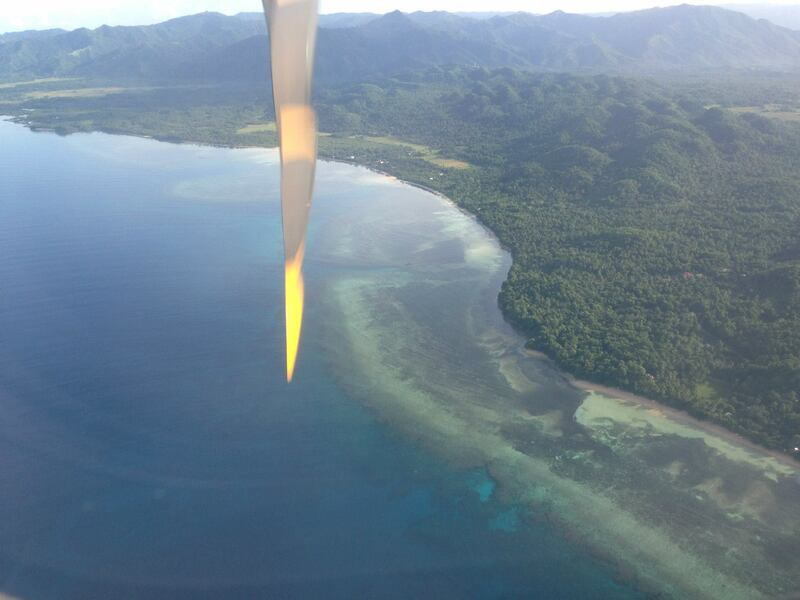 On final approach to the beautiful Catanduanes Island. My mom was born in one of the sleepy towns of this island, and my recent visit redefines my Catanduanes experience. During my time there we stayed at my grandparents’ house in San Miguel, an hour away from the capital city of Virac. A good number of hotel and inns are located in downtown proper and accommodation rates averages from Php 1,500 to Php 4,000 or $32.50 to $86 per night. Tricycles are readily available everywhere in Virac and for a Php 200 or $4 deal, the driver could give you a tour around the city. 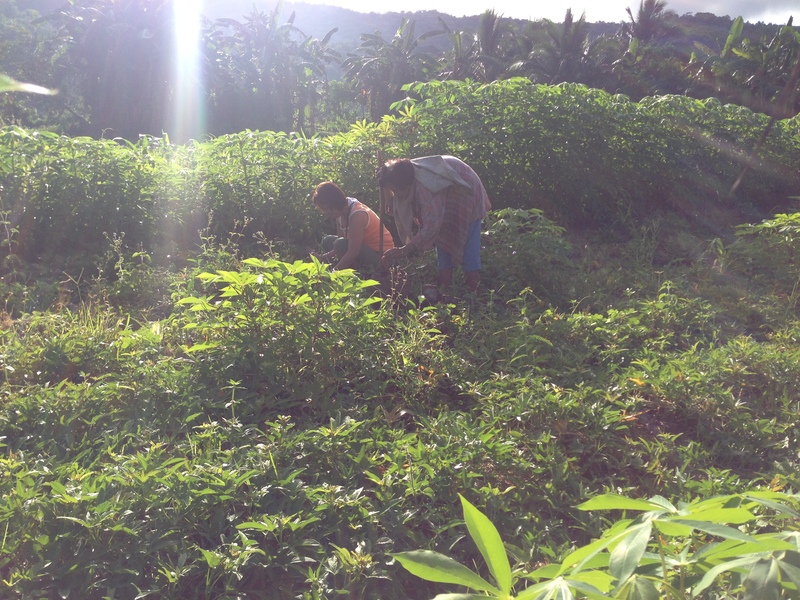 Dependent on fishing and agriculture—specifically abaca for midland villagers, the livelihood in the island usually revolves on processing and exporting these products. The city’s public market has more than enough daily supplies of fresh water fish and sea foods which some of it can only be found in the Island, like the tasty Kabunbon fish. Handcrafted abaca by-products are also sold at a cheap price, I got my abaca backpack for only Php350 or $7.50 and slippers for Php40, roughly a dollar. And that’s how I spent my first day in the island, shopping. Other nearby place of interest is St. John the Baptist Church or Bato Church in the municipality of Bato. The parish and its original wooden church was established in the late 1500s and the presently standing stone church is said to be built in 1830 and was finished 50 years later, making it the oldest church in the island. 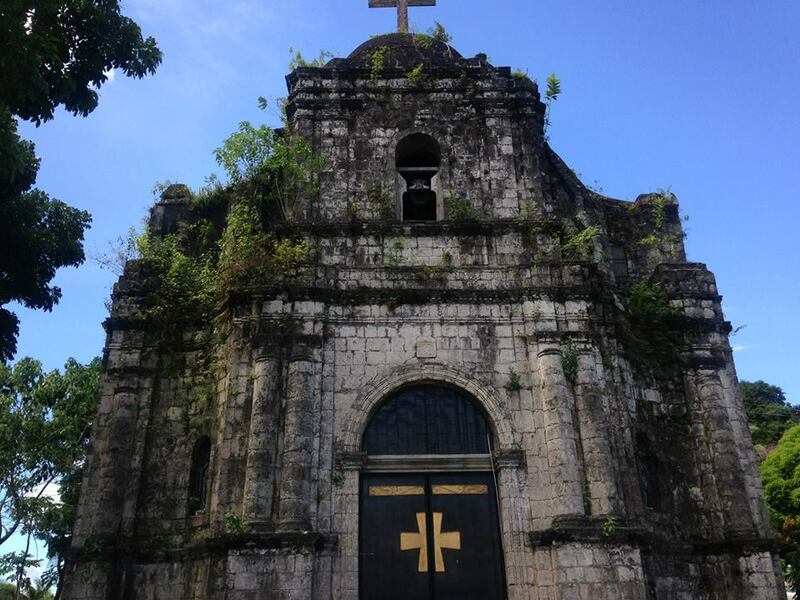 A few minutes away from Bato Church is the Batalay Church (also known as Batalay Shrine) is said to be the place where the first cross in Catanduanes was planted. It is also believed that it’s the same spot where Agustinian priest Fray Diego de Herrera died, later on a spring sprouted in the area which is believed by the locals to have healing powers. The next morning, we took an hour drive from Virac to visit Luyang Cave Park in Barangay Lictin, San Andres. History has it that the cave served as a shelter and death place of the Christian villagers called Binanwahan who died inside the cave chamber while hiding from the non-Christian invaders called Moros on the 18th century. A memorial mass is annually held inside the cave in memory of those who perished in the incident. 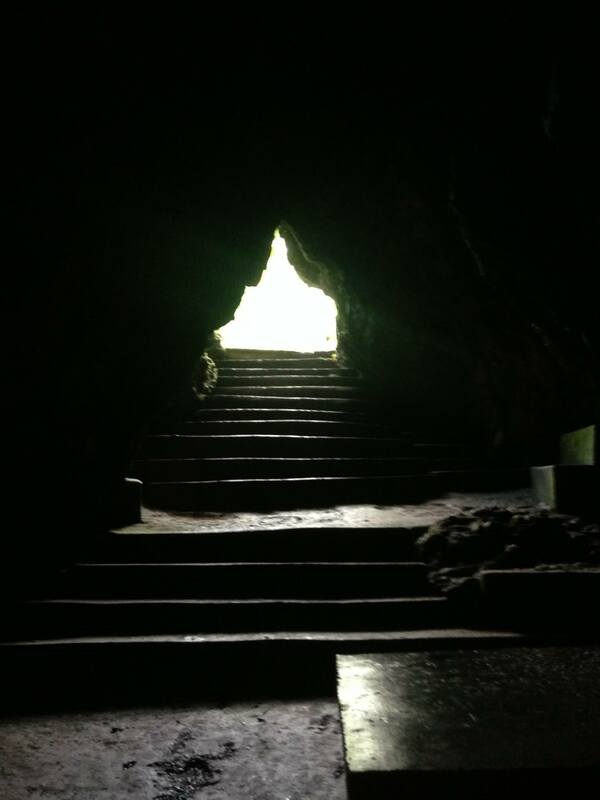 So much of the history, we began our trek inside the wide opening of Luyang Cave and traversed its chambers thru a concrete path-way. A gallery of stalagmites will trigger the imagination of its guests while looking at it on different angles. 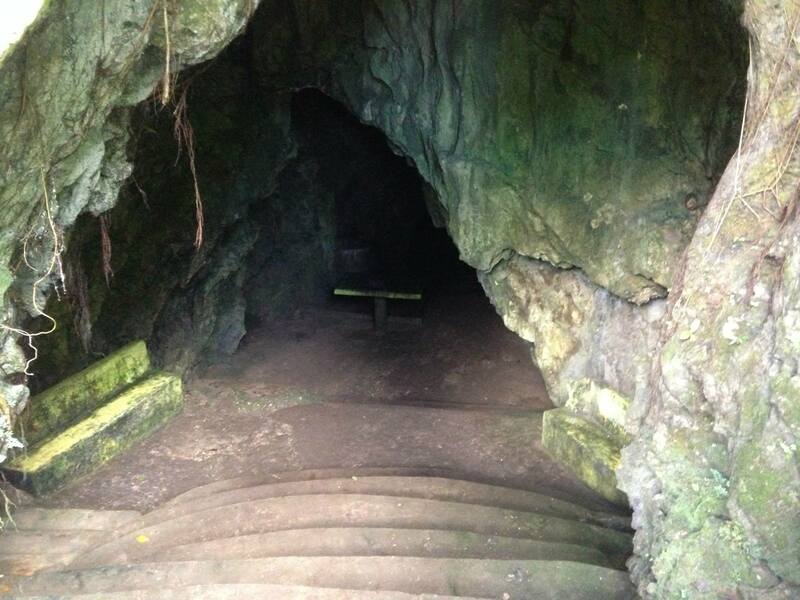 Later on, the path-way lead us to the other side of the cave which is located in another Barangay of San Andres. Visitors of Luyang cave are advised to wear comfortable clothing and footwear, as at times the thick mud inside the cave overturns the concrete path-way. From there we took a 30 minute drive to Twin Rock Beach Resort in Igang and honestly, I’m expecting roaring waves and surfers when my cousin told us that we are headed to the beach. 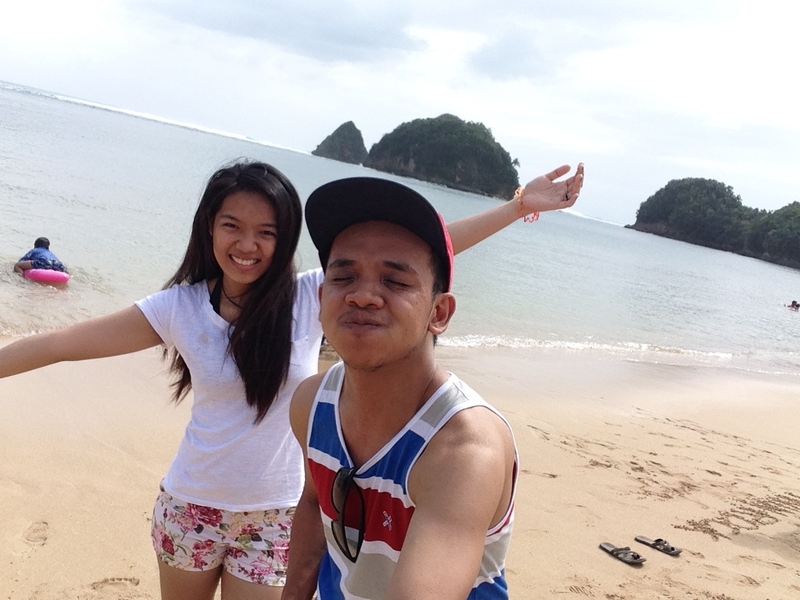 My sister and I while enjoying the Catanduanes heat! 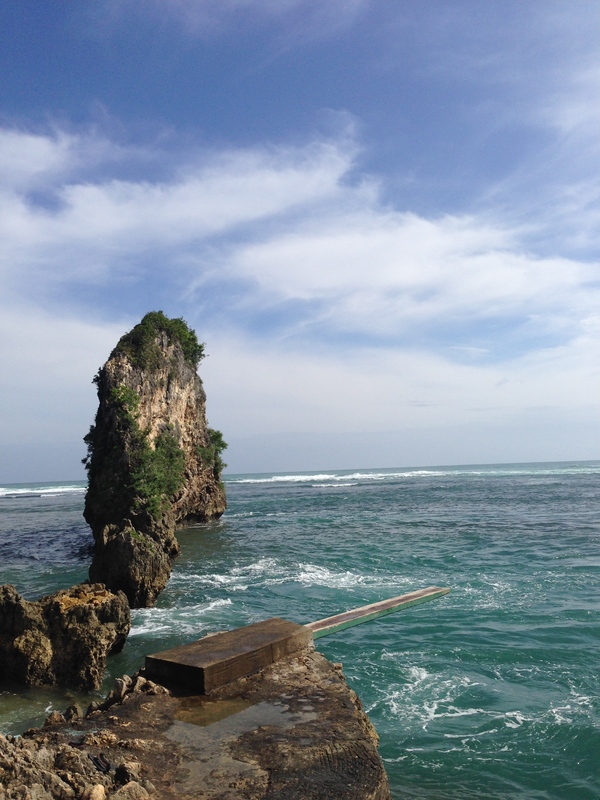 Arriving at the resort we were greeted by two iconic limestone rock formations at its semi-circular pinkish sand beach. Surprised by its tranquility, not a little time was wasted as we took our first splash on the calm and comely waters where in which rich sanctuaries of colourful marine life lies. The shallow beach cove breaks down the great pacific waves and turning it into rhythmic ripples to lap at the shores, making the cove an ideal spot for relaxing dips or kayaking. Diving. It’s more FUN in the Philippines. Hungry from our adventures we head straight back to my auntie’s house in Virac. 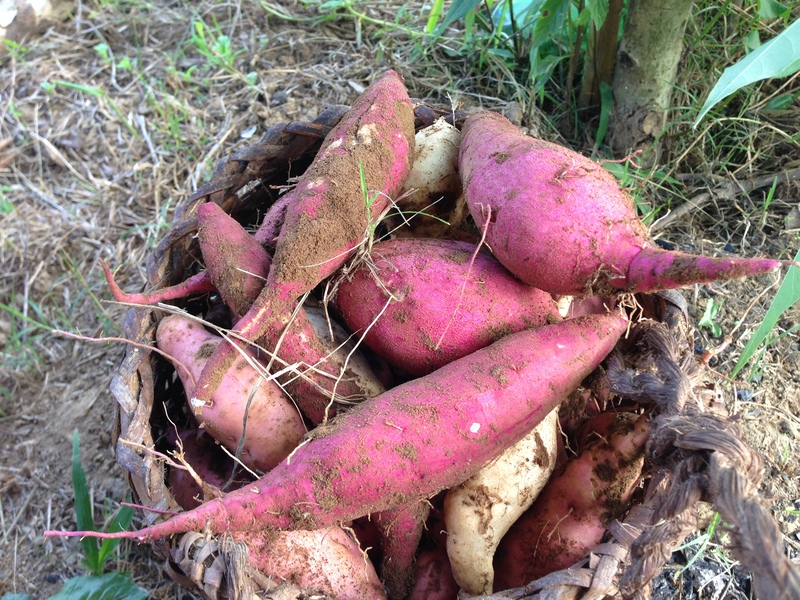 The family prepared sumptuous local cuisines where which some of it easily become my favorite. One is Tilmok, a native dish made from grated coconut meat and mashed shrimp-the mixture then was seasoned with salt, pepper and chopped chilies before wrapping it with taro leaves and slowly cooked in coconut milk. Also the all time family favourite Laing with diced stingray meat and deep fried Kabunbon fish are also present on the table. To end our dinner we had Latik, a glutenous rice cake topped with sweet sauce made from caramelised sugar and coconut milk and Nilupak na Kamoteng Kahoy, a sugar-coated mashed sweet potato mixed in margarine. At night the city turns into a sleepy town as early as 8 in the evening, the streets and the city plaza become quiet empty spaces. Yes, Catandungans are naturally early sleepers and risers. Yet, the island turns into a party house during Catandungan Festival as they honor the province’s separation from Albay. Celebrated every third week of October, the festival is a week-long event where in each of the 11 municipalities showcase their people’s talent and produce that they are known for. Still working on the time frame of Catandungans and far from the city center, we left 6 in the morning and brought our packed breakfast to take a freezing dip at the nearby falls in Buhi. On our way up hill, one couldn’t simply ignore the breath taking scenery as the cloud slowly descends on the cascading mountains of the island. As we reached the falls we sat-down and enjoyed our first meal and ice-cold shower of the day. We ended our tour tapping our foot with the locals on the rhythm of native dance called Pantomina, a court dance which is still practiced in rural areas during special occasions. The distinctively simple and quiet life in Catanduanes is an inspiration and humbling experience, far from its strong image. There are still more destinations to experience in the island, so I’ll definitely go back. Terrific entrances into the travel blogging world, my friend. I love your candid pictures and sincerely love your story telling. Can’t wait to see more. Hi, William! I’m glad to hear that you had a wonderful in the island, have you been to one of the destinations I’ve mentioned on my post? Thanks for dropping by at my site 🙂 cheers!